With our vast industry experience, we are engaged in offering high-quality Stainless Steel Reactor Vessel. 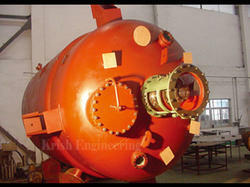 We are an eminent firm affianced in offering an extensive range of SS Reactor Vessel. Grade: S.S. 316, S.S. 304 and S.S.316.